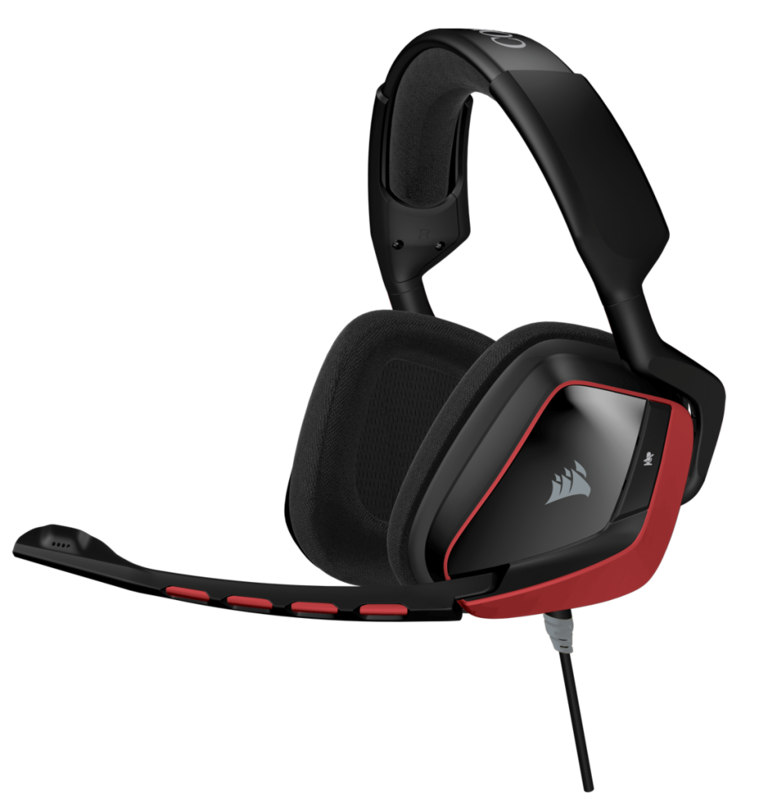 FREMONT, California — February 22nd, 2016 — Corsair®, a leader in high-performance gaming hardware, today announced the immediate availability of the Corsair VOID Surround and Corsair VOID Wireless RGB White headsets, further expanding its range of multi-award winning gaming headsets. Offering universal compatibility for PC, PS4 and Xbox One, VOID Surround opens up its legendary gaming audio and supreme comfort for any platform, while the white version of the VOID Wireless RGB headset adds a striking, clean look to complement its 40 ft. wireless range and all-day battery life. The VOID Surround Hybrid Stereo Gaming Headset brings Corsair’s most advanced gaming headset to the widest range of devices yet. VOID Surround’s mobile-compatible 3.5mm connector offers instant connectivity to virtually any audio source, as well as full headset capability with Sony’s PlayStation 4 and Microsoft’s Xbox One (requires Xbox One Wireless Controller with a 3.5mm port or Xbox One Stereo Headset Adapter). The 3.5mm jack also enables use on smartphones, tablets and handheld gaming devices. For connection to a PC, VOID Surround includes a USB 7.1 Dolby headphone adapter, unlocking genuine Dolby Surround for deadly accurate positional audio, as well as a fully customizable EQ in the Corsair CUE (Corsair Utility Engine) software. As with all Corsair VOID headsets, VOID Surround is built for comfort and durability, with memory-foam ear pads wrapped in long-lasting microfiber and cast aluminum construction. Oversized 50mm neodymium drivers deliver brilliant, precise highs and powerful bass, while a sophisticated unidirectional noise-cancelling microphone makes sure your teammates hear you loud and clear. 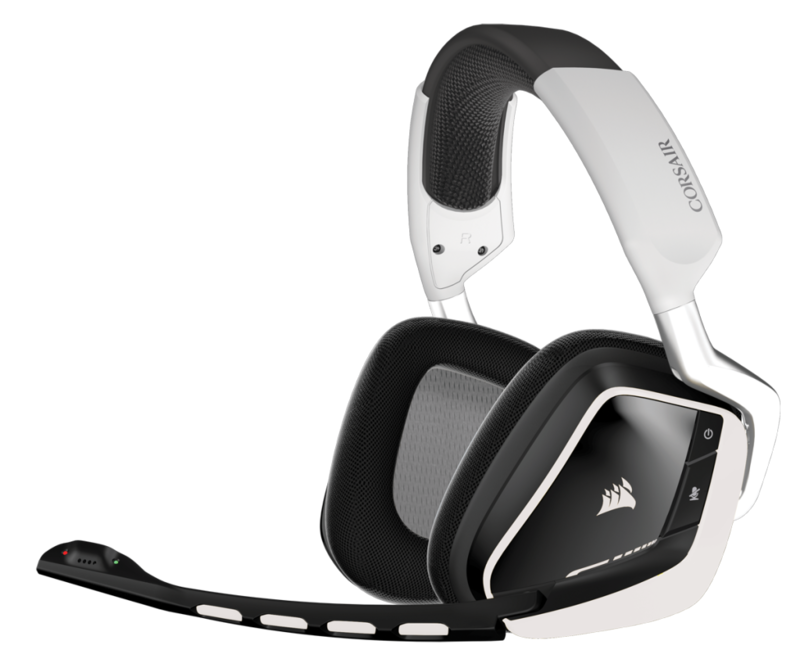 Also launching today is Corsair’s new VOID Wireless 7.1 RGB Gaming Headset in white, a stylish new version of the multi-award winning Void Wireless headset, offering full Dolby Headphone 7.1 surround audio without the hassle of cables. Up to 40 ft. of wireless range grants freedom to enjoy untethered audio, while up to 16 hours of battery life ensures all-day gaming sessions go uninterrupted. Microfiber-wrapped memory foam ear pads and cast aluminum construction guarantee comfort and durability though even the longest, toughest gaming sessions and customizable lighting supports Corsair’s CUE Link, enabling RGB synchronization of all RGB-enabled Corsair headsets, mice and keyboards. Its Corsair’s most advanced wireless headset, now in a striking new color to match lighter gear and décor. 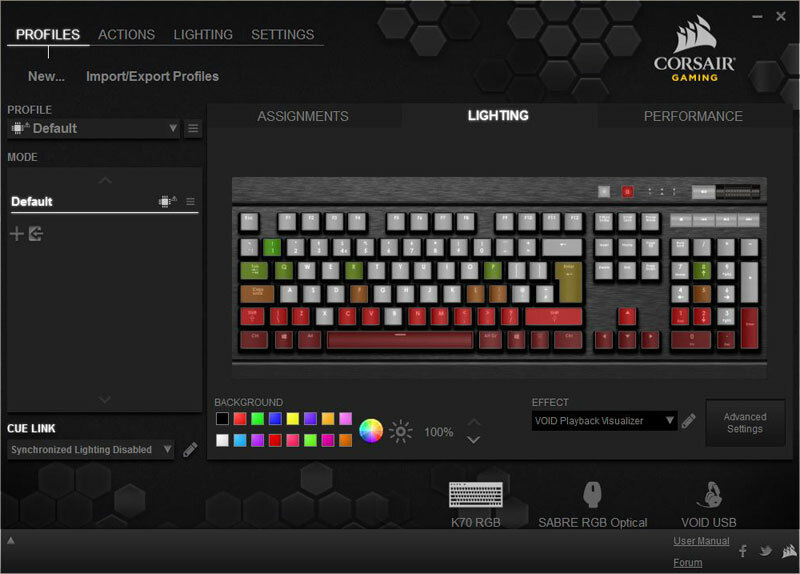 Corsair is also proud to announce a major new software feature for its powerful Corsair Utility Engine software, VOID Visualizer. Combining a digital Corsair VOID headset (VOID Wireless, USB or Surround) with any RGB-enabled keyboard (such as the K70 RGB or Strafe RGB) enables gamers to unleash a stunning multi-color graphic equalizer on their keyboard, turning it into a real-time display of the active audio or microphone signal. Compatible with VOID Surround, VOID RGB Wireless and VOID RGB USB headsets, VOID Visualizer can be enabled with just a few clicks in the Corsair Utility Engine. The VOID Surround has an MSRP of $79.99. VOID Wireless RGB in white has an MSRP of $129.99. Both are available immediately from Corsair’s worldwide network of authorized retailers and distributors. VOID Visualizer is live immediately in Corsair Utility Engine Version 1.15.36. Founded in 1994, Corsair supplies high-performance products purchased primarily by PC gaming enthusiasts who build their own PCs or buy pre-assembled customized systems. The company’s award-winning products include DDR3 and DDR4 memory, computer cases, PC cooling products, gaming headsets, gaming keyboards, gaming mice, power supply units, USB flash drives, solid-state drives and system monitoring and control devices. Copyright © 2016 Corsair Components, Inc. All rights reserved. Corsair, the sails logo, and Vengeance are registered trademarks of Corsair in the United States and/or other countries. All other company and/or product names may be trade names, trademarks, and/or registered trademarks of the respective owners with which they are associated. Features, pricing, availability, and specifications are subject to change without notice.